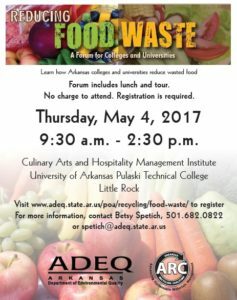 The Arkansas Department of Environmental Quality and the Arkansas Recycling Coalition are providing a forum for colleges and universities to help them reduce the amount of food wasted on campus. 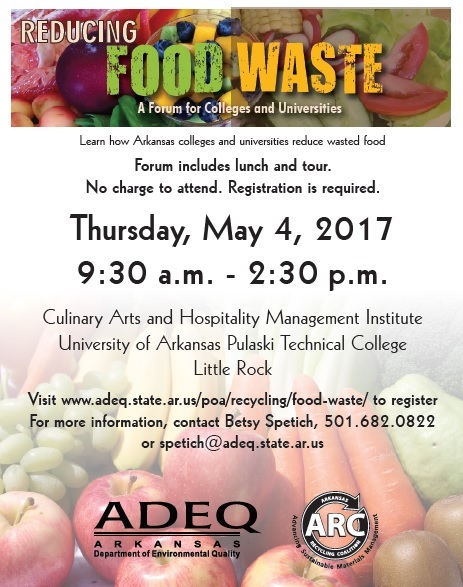 Please forward the attached flyer to any of your contacts at colleges and universities that may be interested in attending. Deadline for registrations is April 26.